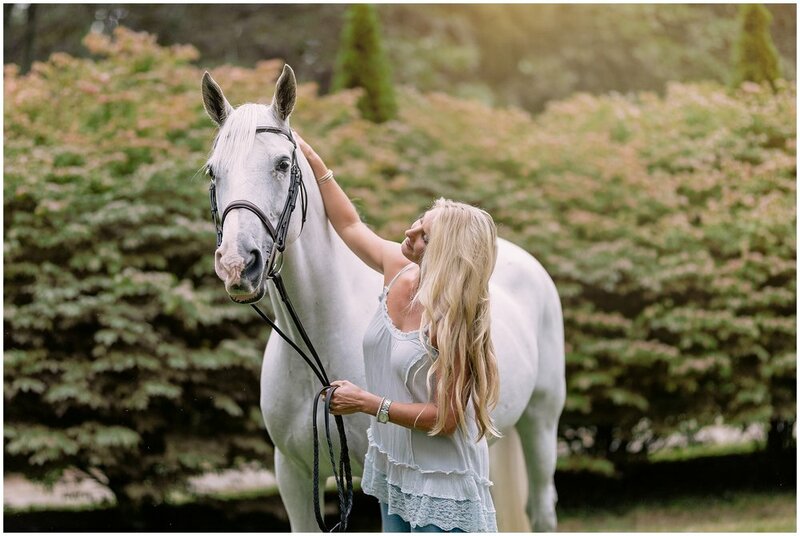 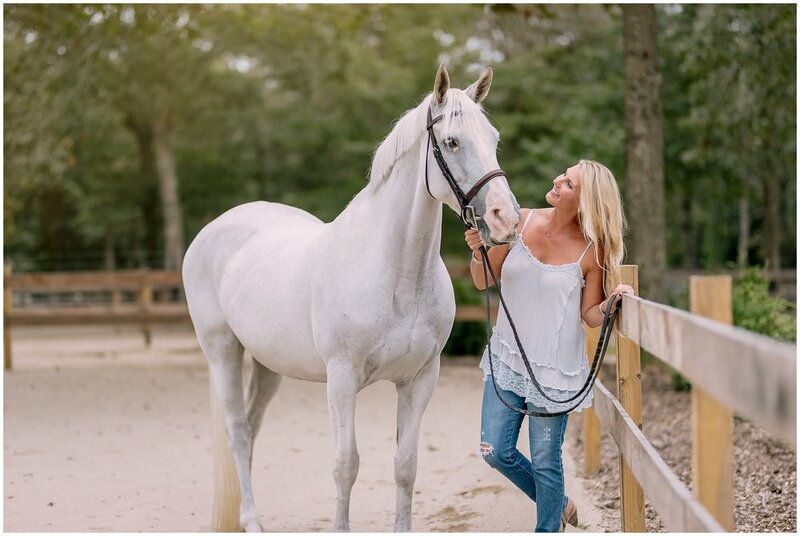 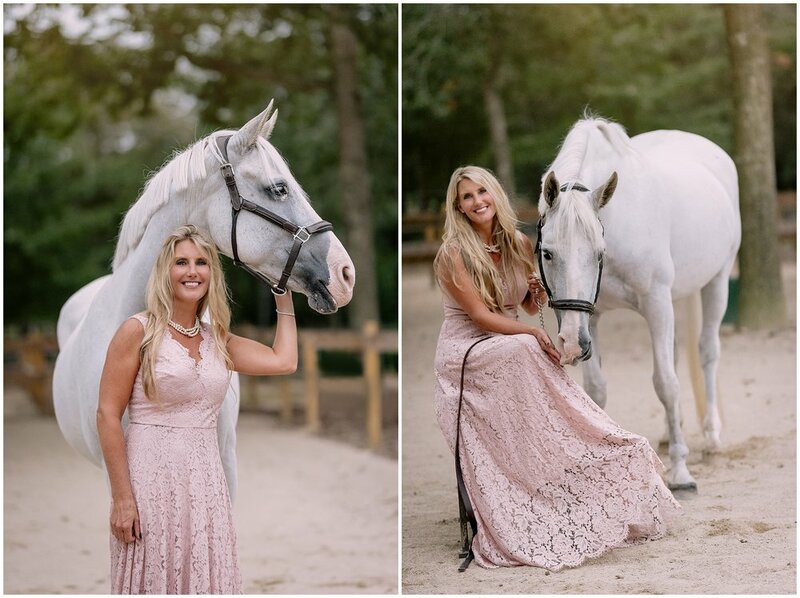 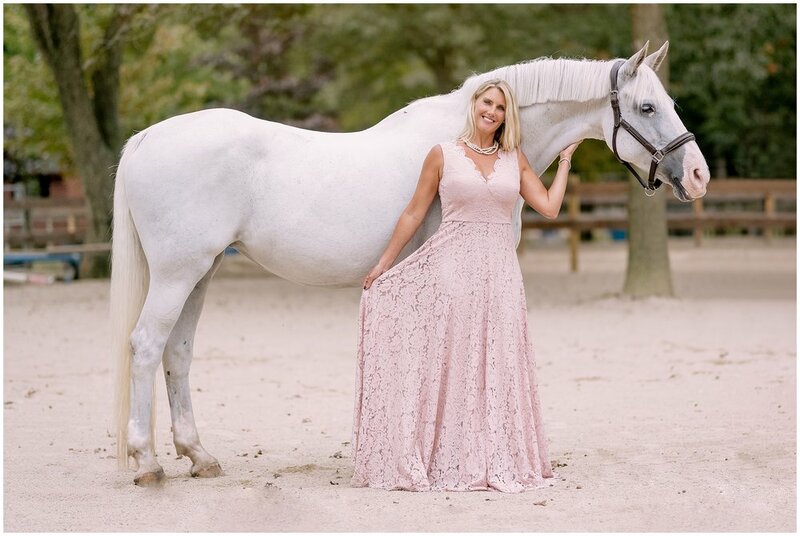 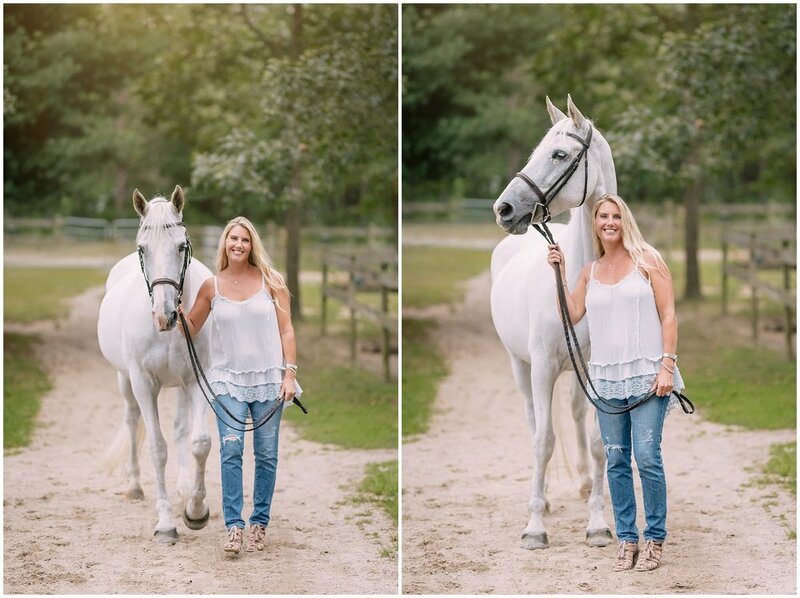 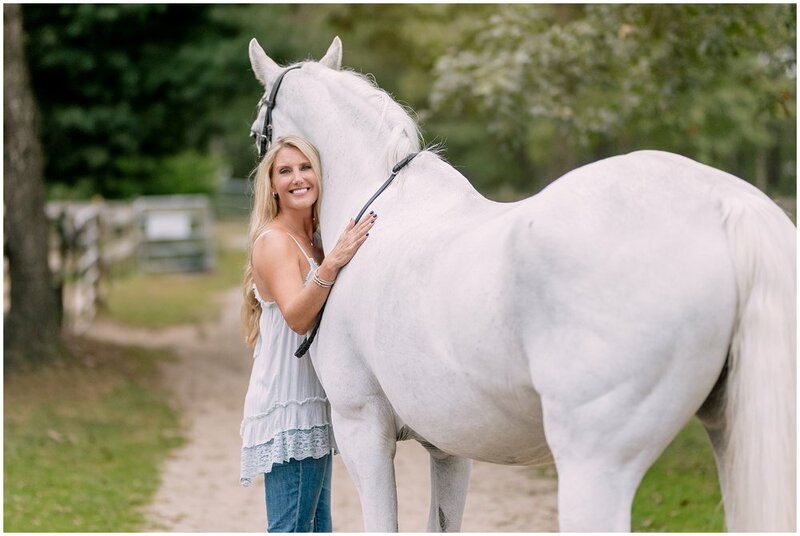 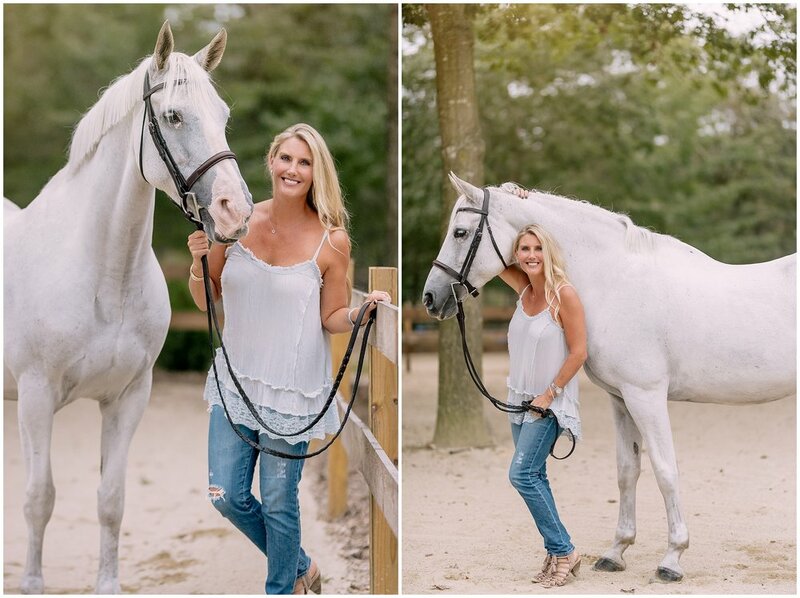 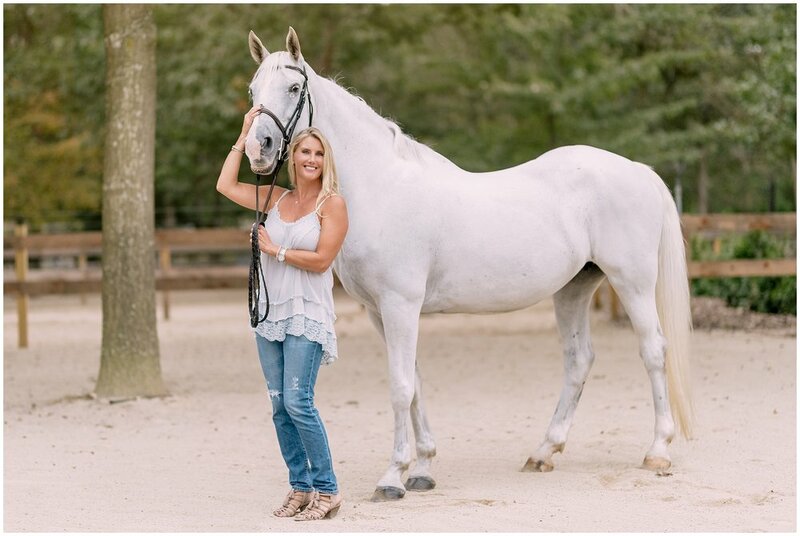 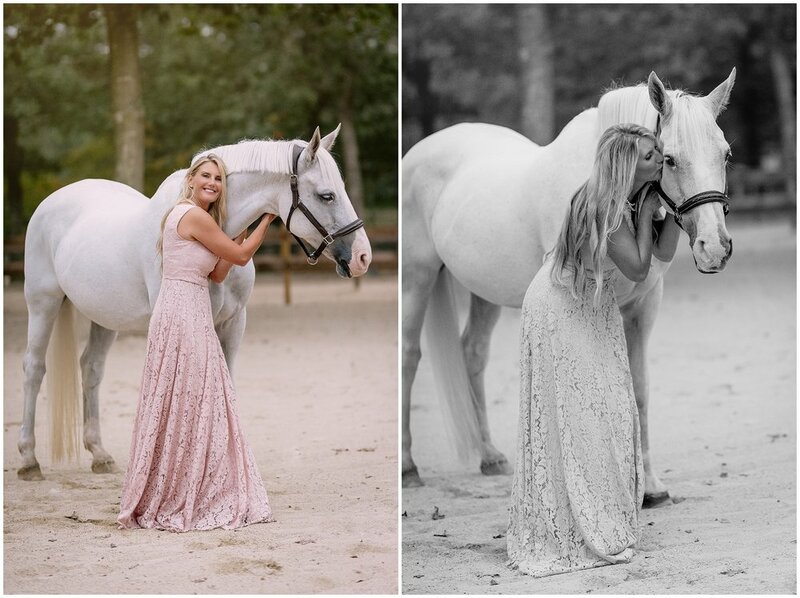 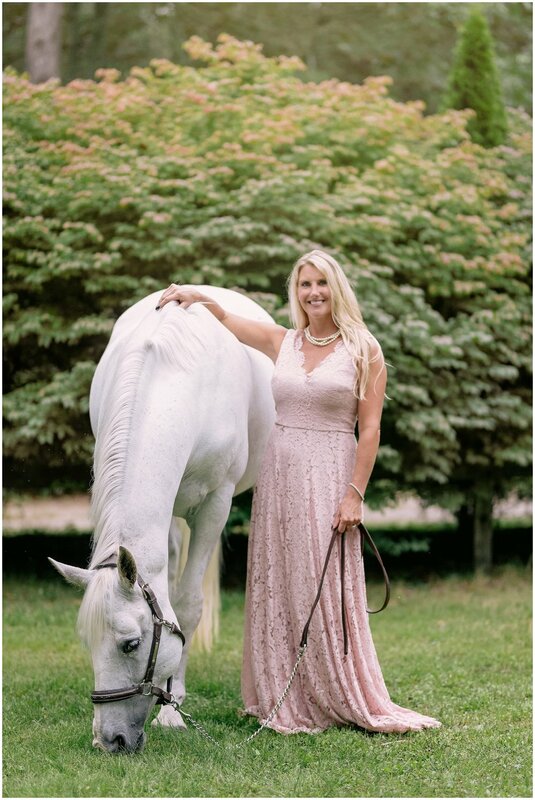 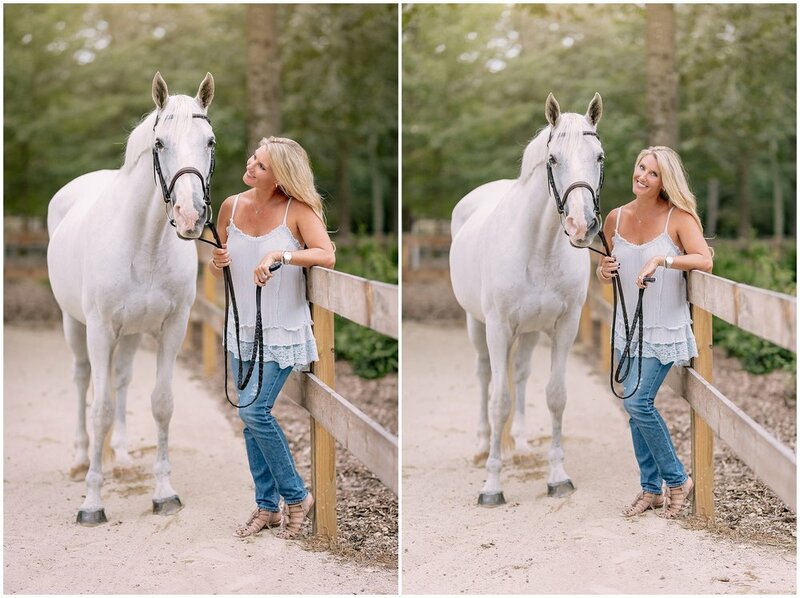 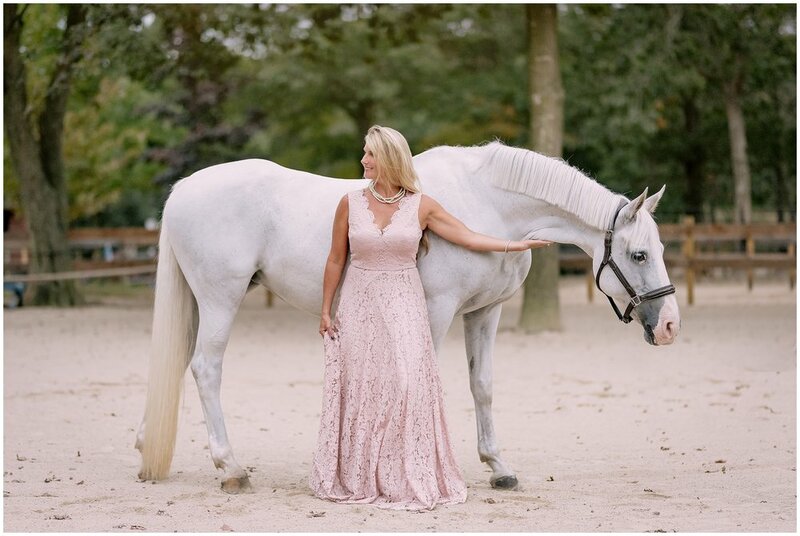 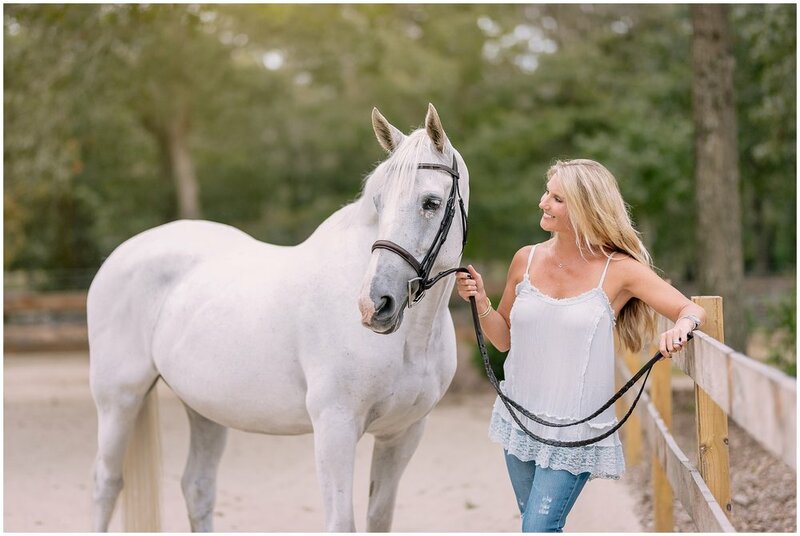 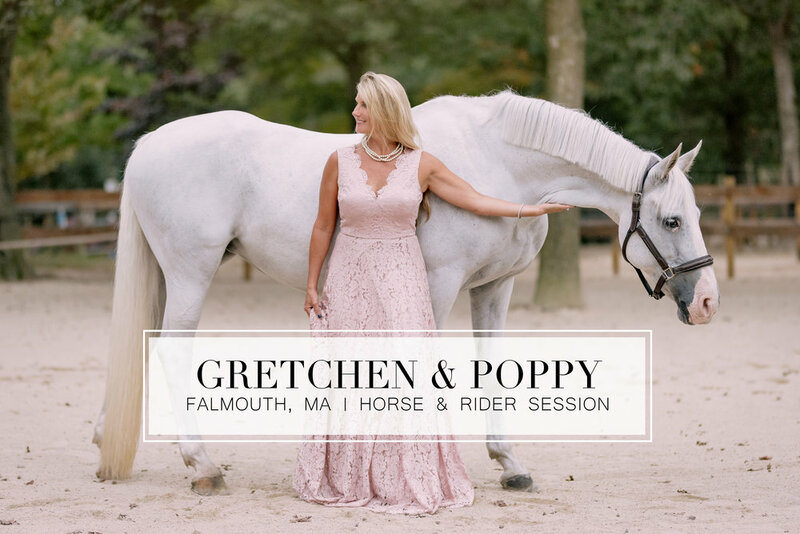 Absolutely in love with these images from Gretchen and Poppy's shoot at Highlander Farm in Falmouth, Massachusetts. 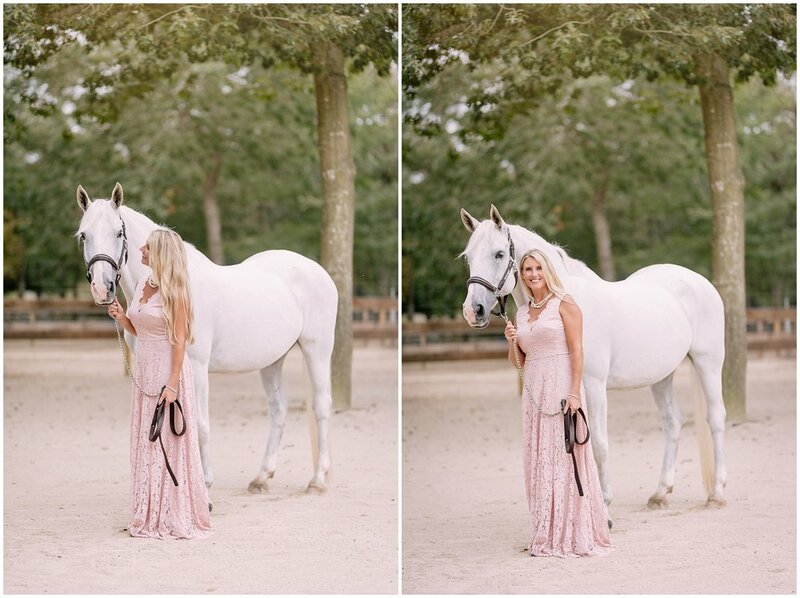 When Gretchen walked out in her dress I knew the pictures were going to be fairy-tale like, especially with her beautiful stark white mare as her partner. 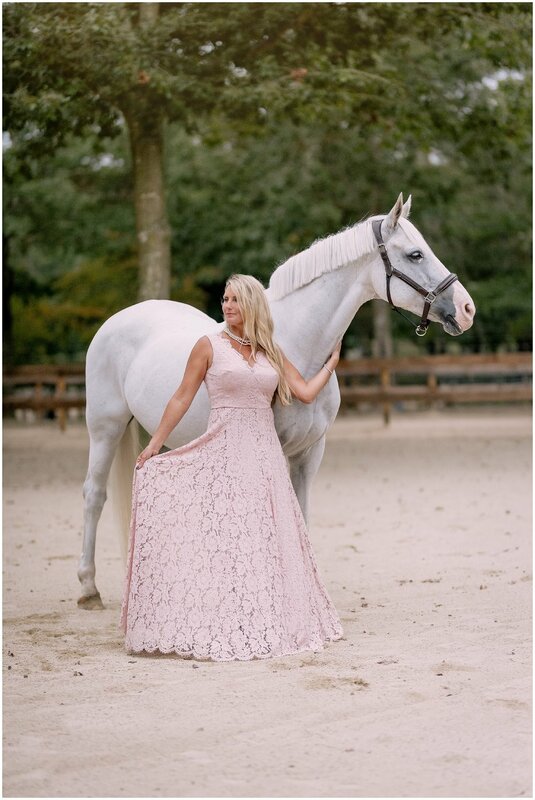 My favorite touch was that her pink dress matched Poppy's perfectly pink nose!